New York City-based Coach has closed its store at Perimeter Mall in Dunwoody. 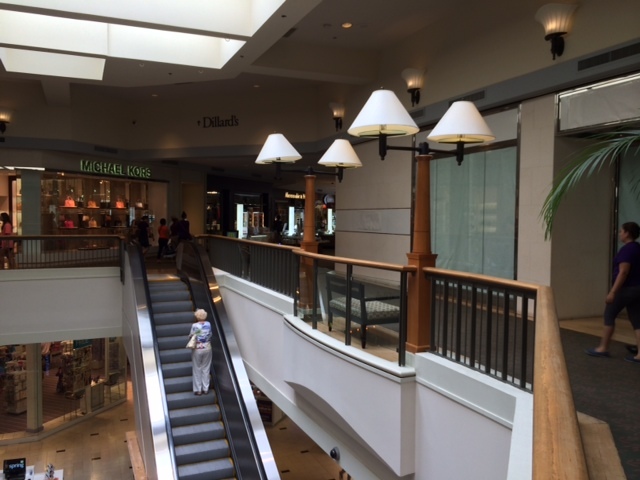 The store was located on the mall's upper level near the escalator. Remaining Coach stores are at Lenox Square in Buckhead, Mall of Georgia in Buford and at Hartsfield-Jackson Atlanta International Airport. Coach also operates outlet stores in North Georgia Premium Outlets in Dawsonville, Tanger Outlets in Locust Grove and The Outlet Shoppes at Atlanta in Woodstock. Coach closed their store at Phipps Plaza last summer and their store at North Point Mall this past December. Newly acquired Coach brand Stuart Weitzman continues to operate a store in the Nordstrom wing at Perimeter Mall as well as in the Neiman Marcus wing at Lenox Square. Following their fiscal second quarter sales announcement in late January, Coach said it would be "redesigning certain stores and closing under-performing ones." Perimeter would seem to be one of their "under-performing" locations while Lenox Square, currently receiving a light remodel, is perhaps their better performer. Michael Kors, a direct competitor of Coach, remains open on the upper level of Perimeter Mall, near the Dillard's wing. Michael Kors also operates stores in Lenox Square, Phipps Plaza, Cumberland Mall, North Point Mall, Mall of Georgia and an outlet at The Outlet Shoppes at Atlanta in Woodstock. Previously said to be "eating Coach's lunch," now Michael Kors is struggling, too. The retailer would seem to have expanded too much, making its "luxury" goods available in too many places. In the world of luxury goods, cachet is everything, and Coach and Michael Kors appear to have lost theirs. Your last paragraph says it all about the "luxury" market. The Coach store at Town Center at Cobb in Kennesaw also closed within the last year. It was located on the lower level across from Victoria's Secret. Maybe it’s me, but the Dillards Wing at Perimeter never really seemed like that great of a spot. As for Michael Kors I think we will almost certainly see some store closures in the next year such as Lenox or Phipps. Also, went shopping with a friend at the Michale Kors at Lenox twice and both times we found better deals on the same item at Macys.